Home > View Our Complete Catalog of Titles > 65 YEARS: making. moving. art. 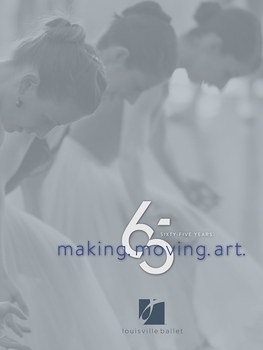 In 2017, Louisville Ballet celebrates its 65th Anniversary. Follow the history of the fourth-oldest professional ballet company in the United States, as told through hundreds of photographs and engaging narrative.